Andrew graduated from the University of Strathclyde in 2002 with a BA in Accounting and Finance. 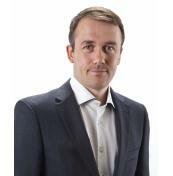 In 2003 he completed the ACCA Professional Scheme and moved to Chamonix, France, working as an accountant for TUI. He returned to Belfast in 2006, setting up The Belfast Office, a serviced office facility in the Belfast Gasworks. He also joined Ratio, focusing primarily on the marketing of the business. Andrew led the implementation of Vendman in 2011 and the subsequent restructuring of the business. He was appointed Managing Director in 2013. Andrew has a keen interest in outdoor pursuits, particularly mountain biking. 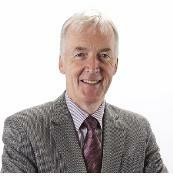 Finance Director John qualified as an accountant with ICI in 1976, becoming the youngest ever full member of the FCMA . He joined Ratio in 1977 and led the specialisation in quality hot drinks vending and fully managed vending services. John formed partnerships with United Vending Traders and Mars Drinks which significantly raised the profile of the business. He also served on the Automatic Vending Association committee for the introduction of the Euro. Away from the office John served as a School Governor at Hunterhouse College for many years and is an active member of the Council at Malone Golf Club. 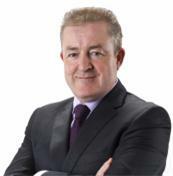 Key Account Executive Liam began his career in hospitality and completed a number of Catering and Management qualifications at Galway Regional technical College and the Dublin College of Catering. Upon completing his qualifications he moved to London and worked as a chef. He was consistently promoted and reached the position of Head Chef before returning to Dublin as an Area Catering Manager for Cullen Catering. He joined Ratio in 1995 and quickly established himself as a successful Sales Manager with a highly professional, accountable approach. Liam enjoys travelling and fine dining and is threatening to buy a bicycle. Jamie completed a BSc in Business with Computing and an MSc in Marketing at the University of Ulster. 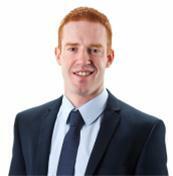 He worked for Brookvent in Business Development before joining Ratio as a Business Development Executive in 2012. Jamie is a member of the Chartered Institute of Marketing, recently awarded the Level 6 CIM Diploma in Professional Marketing (Digital Strategy). When Jamie isn't working or studying he is a highly accomplished footballer and fisherman. Technical Manager Philip completed an Apprenticeship in Electrical Engineering before joining the business in 1985. He quickly established himself as a pro-active Technical Manager with a no-nonsense approach to his work and a unique sense of humour. In addition to his Technical work Philip is responsible for the company's ISO 9001 certification and Health & Safety procedures. Away from work Philip has keen interests in football and ballroom dancing.